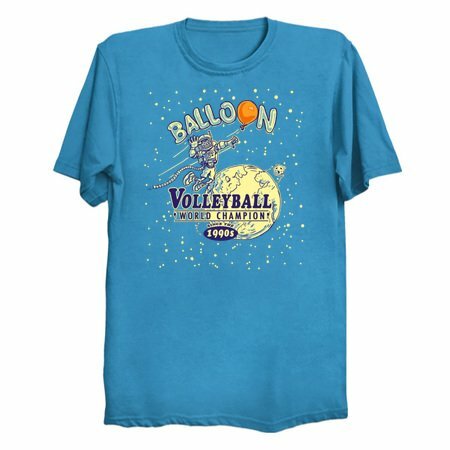 Funny Volleyball design featuring hybrid astronaut kid skying to spike a balloon that has left the Earth's atmosphere. 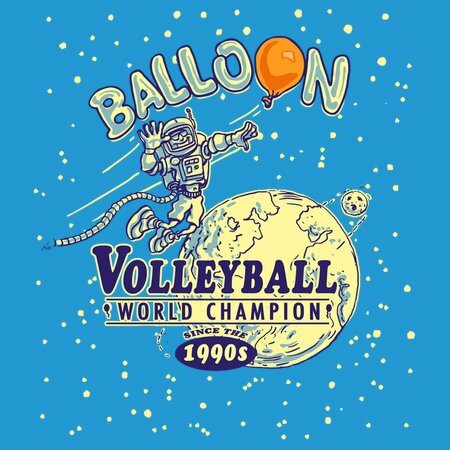 Balloon Volleyball Out of This World Champion since 1982. When I was a kid, I absolutely loved the days following a birthday party most. That's when we all got together to set up our modest living room for the Balloon Volleyball Championships. And it was a good thing that we played with a balloon as lamps, furniture and other breakables would certainly have been demolished. No wonder I love sand vball so much!